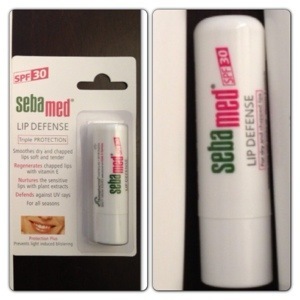 I am already a fan of Sebamed Skincare! I have recently reviewed Sebamed Anti-Dry range and I really enjoyed their Revitalising Shampoo, Derma-Soft Wash Emulsion, Hydrating Body Lotion, Day Defence Cream and Night Intensive Cream. Sebamed Skincare is a medicinal skin care brand, it contributes to the prevention of skin diseases and premature ageing and it also provides quicker healing of skin disorders/diseases. 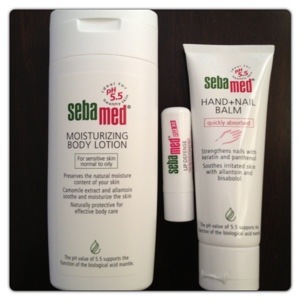 Sebamed is for all skin types, it is suitable for sensitive and problem skin. It is developed in cooperation with dermatologists and supported with clinical testing. Sebamed Skincare has a Face and Body Care, and Hand & Lip Defence ranges, perfect as a Mother’s Day Gift to make your mum’ skin look and feel lovely! Liquid Face and Body Wash (RRP £5.59) is a 100% soap-free and alkali-free face and body wash. It has pH value of 5.5 of healthy skin to ensure the maintenance of moisture balance in the skin. It is an active moisturizing complex of Pentavitin, vitamins and allantoin, which protects the skin from dehydration. Liquid Face and Body Wash is lightly fragranced and it has a rich blend of moisturisers that gently cleanse the skin without irritation. 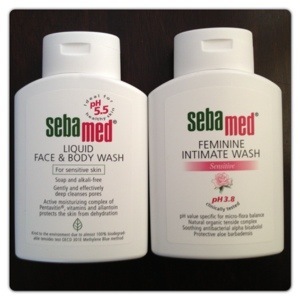 I usually have a separate product for face wash and a different one for body wash, but Sebamed Liquid Face and Body Wash is suitable for both. It meets the skin’s needs for mild, effective, deep cleansing of the pores to protect the health and beauty of your skin. Both my skin and face reacted really well with the Liquid Face & Body Wash.
Feminine Intimate Wash (RRP £5.69) is a soap-free feminine intimate wash for gentle external cleansing with a pH value of 3.8 specific for the microflora balance. The acidic balance of the pH value in this sensitive area is essential prophylactic protection against bacterial and fungal infections. Feminine Intimate Wash has effective soothing and antibacterial properties of alpha bisabolol, the active ingredient of camomile. It also has aloe barbadensis which activates the moisture content of the skin. 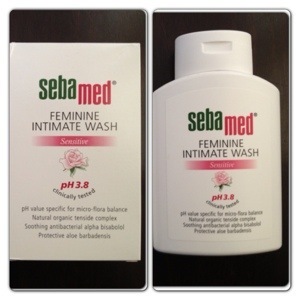 Feminine Intimate Wash has a reassuring and pleasant fragrance for personal comfort. 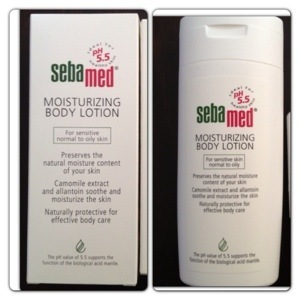 Moisturizing Body Lotion (RRP £5.59) is an oil-in-water emulsion which preserves the natural moisture content of the skin. It is naturally cooling and calming as it has Camomile extract and allantoin soothe the skin making it soft and supple. It has a lovely fragrance and it is easily absorbed by the skin without making it shiny or leaving greasy residue. Moisturizing Body Lotion is especially recommended for use in hot climates or in summer, so I will be taking it on my next holiday to Brazil. 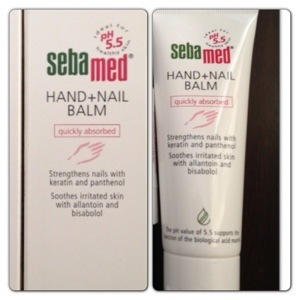 Hand + Nail Balm (RRP £4.69) is an oil-in-water care balm for fatigued hands and nails. It is rich in moisturizing and protective ingredients to make the hands soft and supple, and the nails strong. It is quickly absorbed and it strengthens nails with keratin and pathenol. It soothes irritated skin with allontoin and bisabolol. Its anti-inflammatory capacity soothes rough, dry hands. My hands get quite dry in the winter, so they are loving Hand+ Nail Balm. Lip Defense SPF 30 (RRP £2.69) smoothes dry and chapped lips, making them soft and tender. It has triple protection as it regenerates chapped lips with vitamin E, nurtures the sensitive lips with plant extracts and defends against UV rays. I have noticed that my lips got extremely dry in the past few days as the heating is quite high at work during the day. As a result, I ended up with chapped lips, so perfect timing to test Lip Defense. I have been using Lip Defense to keep my lips hydrated and I can feel that they are very soft, I could see visible results after only a couple of days. 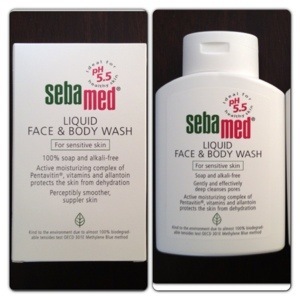 Sebamed Classic Cleansing and Skin Care ranges are highly recommended to keep your skin soft, cleansed and hydrated. I’m sure your mum would love Sebamed Skincare as it supports and protects the natural barrier function of the skin’s acid mantle. It is lightly fragranced and suitable for sensitive skin. One Response to "Love You Mum: Sebamed Skincare for Soft Skin"